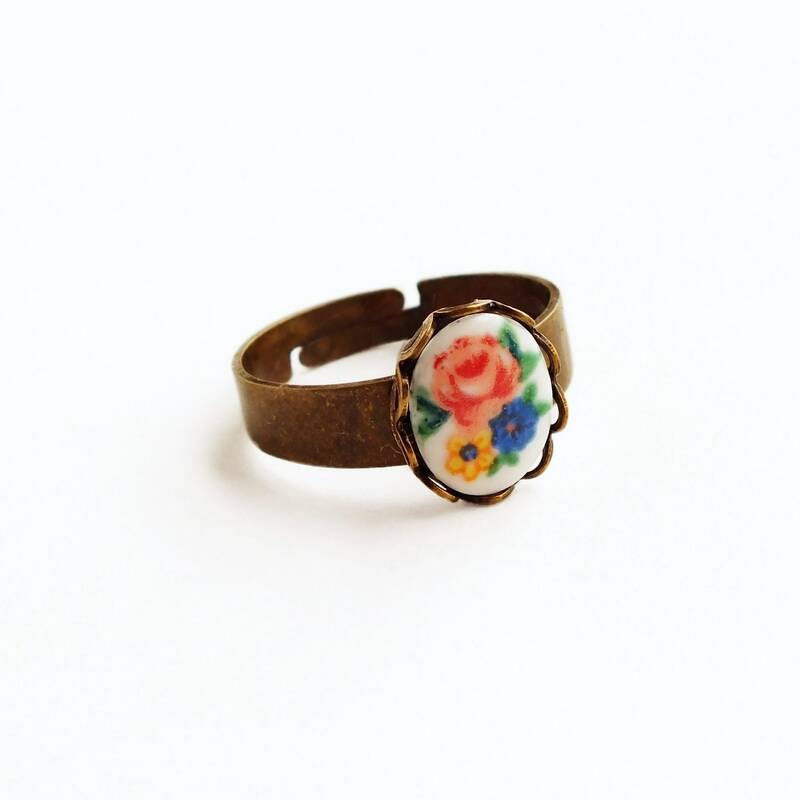 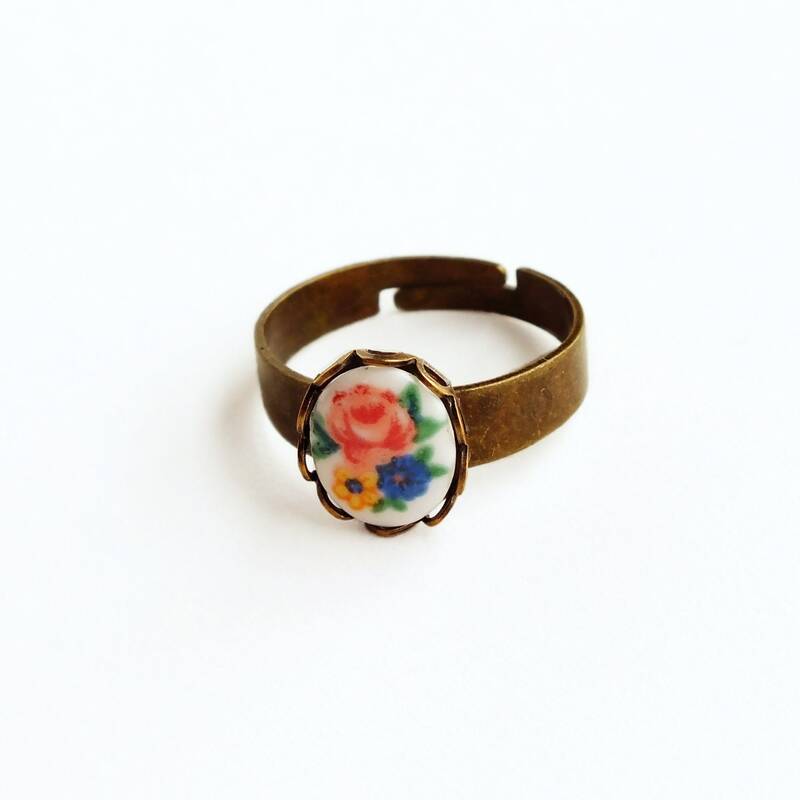 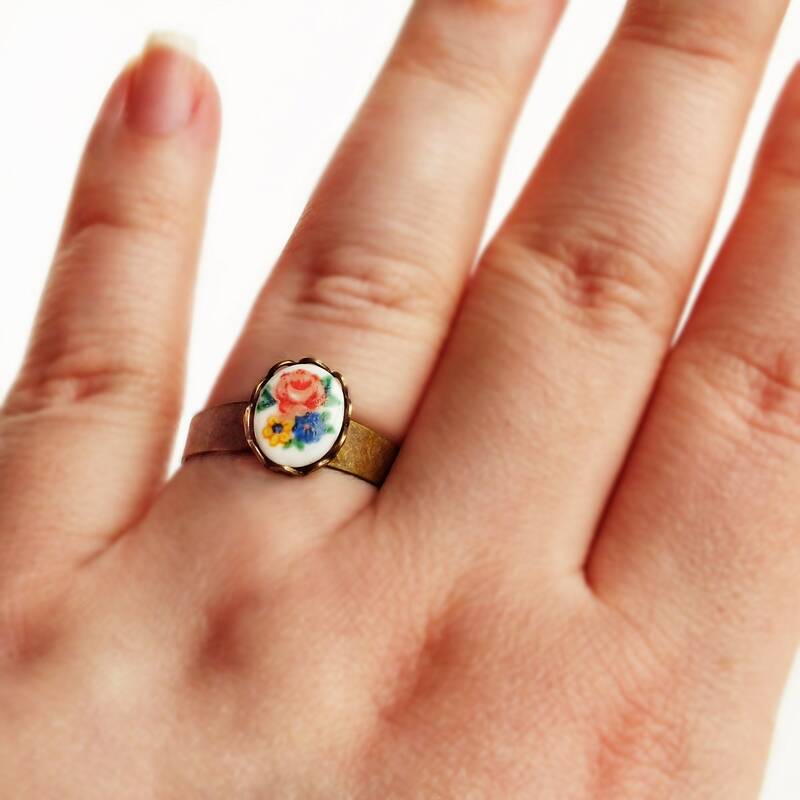 Small handmade floral cameo ring with vintage glass rose flower cameo and small adjustable band. 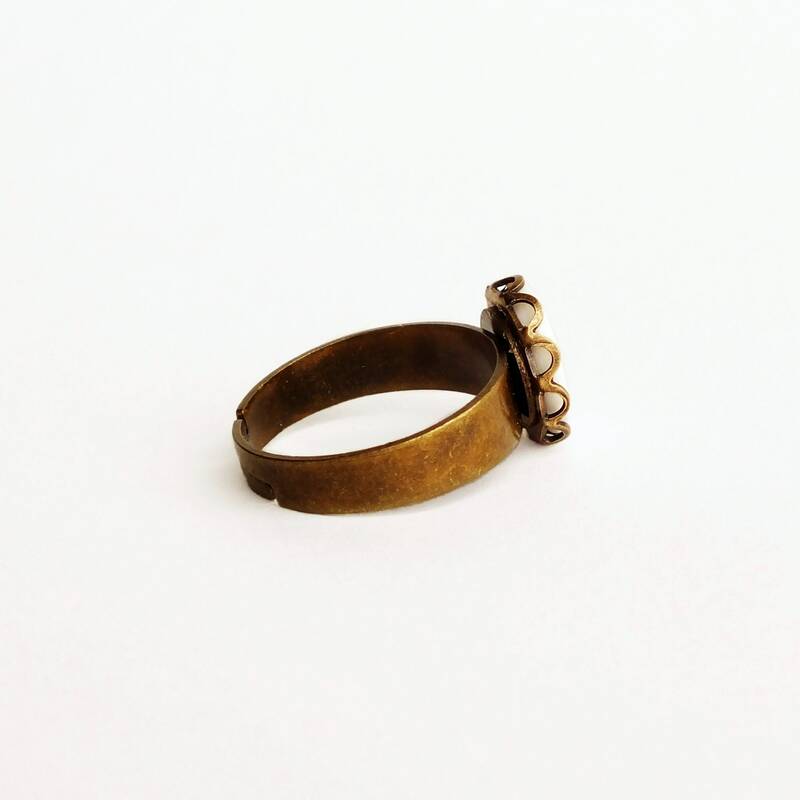 Imported high quality antiqued brass band. 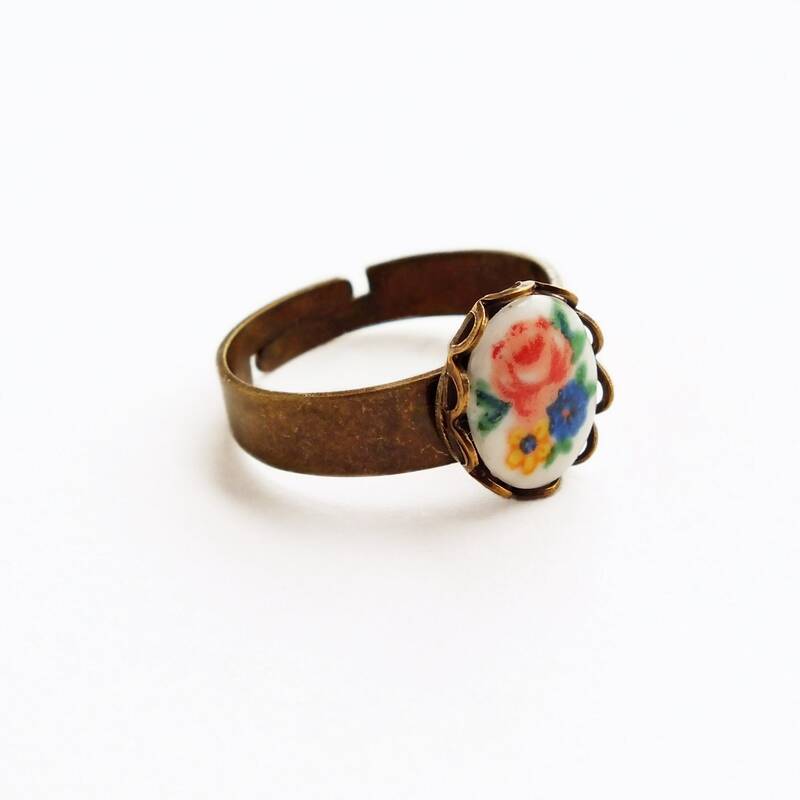 Made with a gorgeous genuine vintage glass cabochon with a pink Victorian rose bouquet set in an antiqued brass lace-edged setting secured to a Nickel free antiqued brass adjustable band.